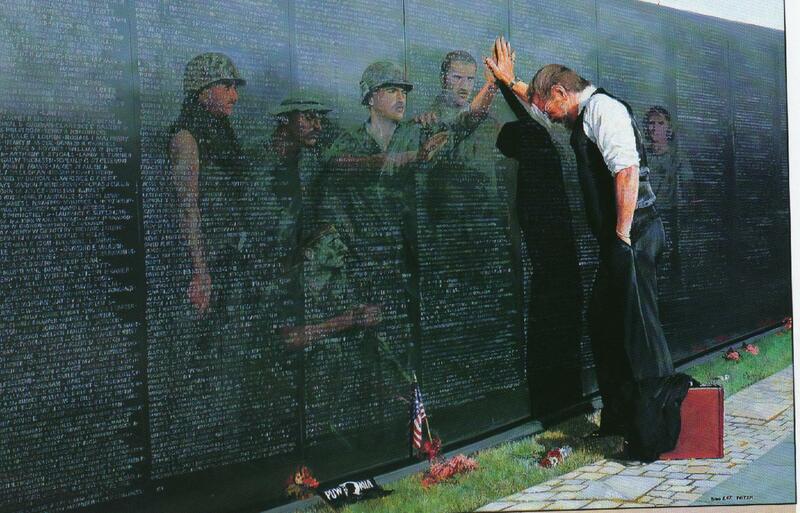 By the time the Viet Nam war came to an unceremonious close in 1975, over 58,000 United States Military men and women had been killed. More than three times that number had been badly wounded and to this day many of the veterans and their families carry the scars of that terrible conflict. The number of families torn asunder is almost beyond count. In the United States, neither the President nor Congress wanted any reminders of those dark days of US foreign policy as that would be of no political, ideological or commercial value. 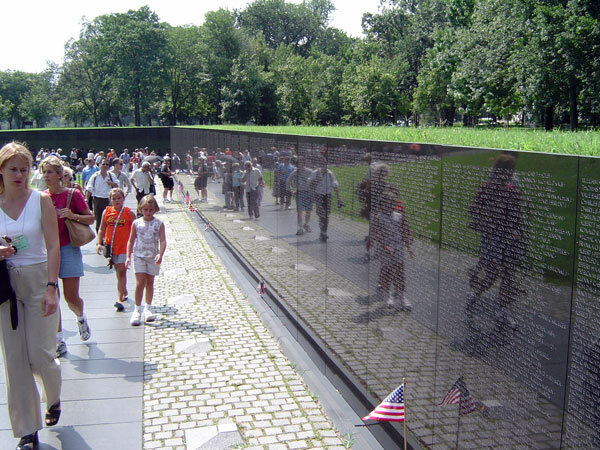 Viet Nam Veterans and families of the dead and wounded fought for decades to gain some recognition for the sacrifices made and for the lasting injuries inflicted. 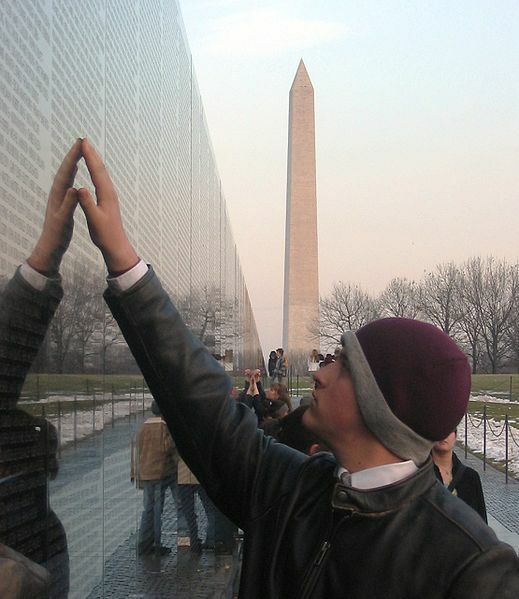 In the years following the conflict, the US Government made no plans for a public memorial or for any remembrance celebrations. Mass media likewise remained largely silent. It was not until 1978 that a Hollywood movie, The Deer Hunter, became an enormous hit, and public sentiment slowly begin to shift. Following the movie, a wounded Viet Nam Vet, Corporal Jan Scruggs, started a campaign to have a memorial built in remembrance of all those lost their live in the war. In the months and years following and after donating $2800 of his own money, Corporal Scruggs traveled the country and managed to raise $8,500,000 in public donations. 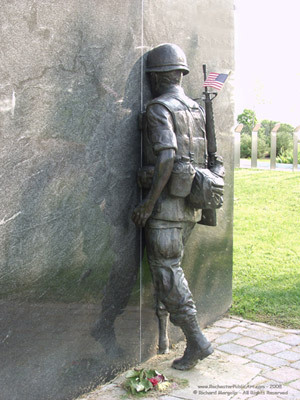 After much conflict and foot dragging by the US Government, the Viet Nam War Veterans memorial was built in Washington, DC. It stands today as the only major memorial to all those killed in action. Only recently have others have since been built in individual States. For those of you who have any recollection of that war or the aftermath, can you remember a time when the Governments of the United States, Canada or any other country ever made more than cursory mention of the heavy price paid by those hundreds of thousands military personnel and their families? They and their families served their countries well and were then forgotten. Herein lies the message: Least We Forget. Link to Black Friday in Norway: A Story Valour about one young man from British Columbia who flew off to war. Link to an Amazing Coincidence Seventy years after a photo of the RCAF 404 Squadron was taken, only three men still survived. Take a look at the photo see the amazing coincidence. Link to Remembrance Day 2012 (with photo of Lynn’s Dad and Mom at their wedding, in England, just before Lynn’s Dad left for the front in Italy).